Oysters Arctic 450. Network Unlock Code (NCK). After I received the unlock code into the phone - he begins to work with a SIM card of any operator. The resulting code will unlock both slots smartphone. Note! On some versions of phone firmware is an error, due to which when you enter unlock code received in response to a request for the unlock code on the phone network device still says that "unlock the SIM has failed." To enter the unlock code in such devices must use the utility Oysters Arctic 450 Unlock Tool. The tool is designed for a PC and works only in an environment of Windows. Before buying this product, carefully read the instructions for entering the unlock code in the archive with the utility if for some reason you can not perform points these instructions or can not use the utility Oysters Acrtic 450 Unlock Tool - Do not purchase this product! 1. To obtain the unlock code you will be required to inform us IMEI-number of the first slot of your device. Phone IMEI can be found on a label under the battery or by typing on the phone a combination: * # 06 #. 2. The payment of the goods (if you make a payment through an external payment system and after payment you have a button "to go back to the seller," - do not forget to press it), after payment carefully the form that appears, type in the IMEI. 4. 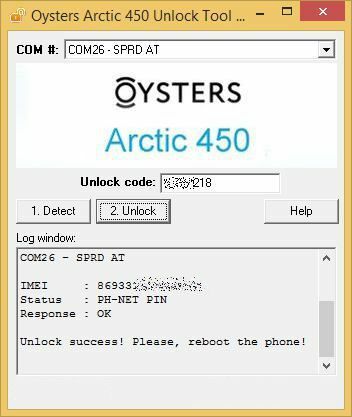 Download the archive with the utility Oysters Arctic 450 Unlock Tool here - http://unlockclub.ru/downloads/Oysters_Arctic_450_Unlock_Tool.7z and carefully read the instructions for entering the unlock code into the phone in a file or folder Oysters_Arctic_450_Unlock_Tool.chm help at the archive. 5. Enter the unlock code you received in accordance with the instructions provided in the archive. Then be sure to restart your phone. 5. 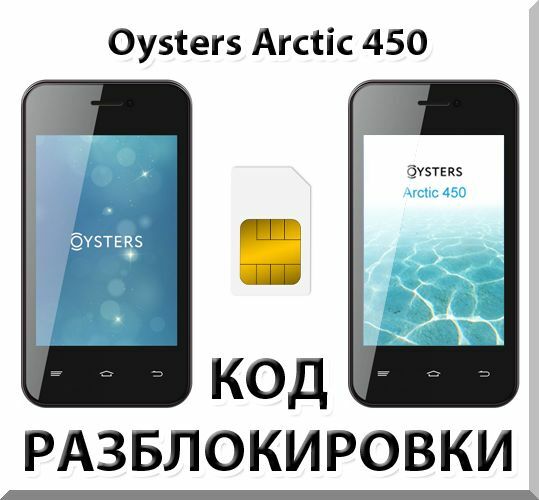 If you did everything correctly, Oysters Arctic 450 once registered with a network operator, SIM card that you have installed. 1. If your phone has exhausted all attempts to enter the unlock code, the means for providing an unlock code is not returned. By purchasing this product, you agree that when inserted sim-card of another operator phone asks for an unlock code (ie, attempts have not spent). 2. By purchasing this product you agree that your phone model is Oysters Arctic 450 and you are familiar with the instructions for use of utility Oysters Arctic 450 Unlock Tool. If after purchasing this product turns out that you have a different model of the device or for some prichnam you can not take advantage of the reduced utility - a service of the unlock code is considered to be provided in full, and money spent are non-refundable. MTS phone unlocking Smart Run. Code.